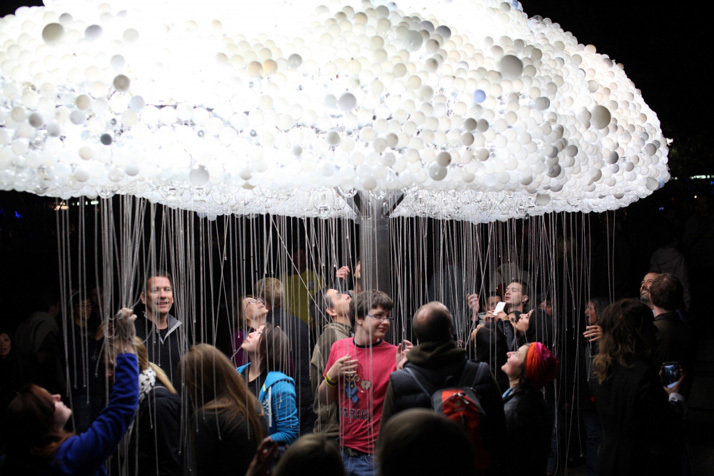 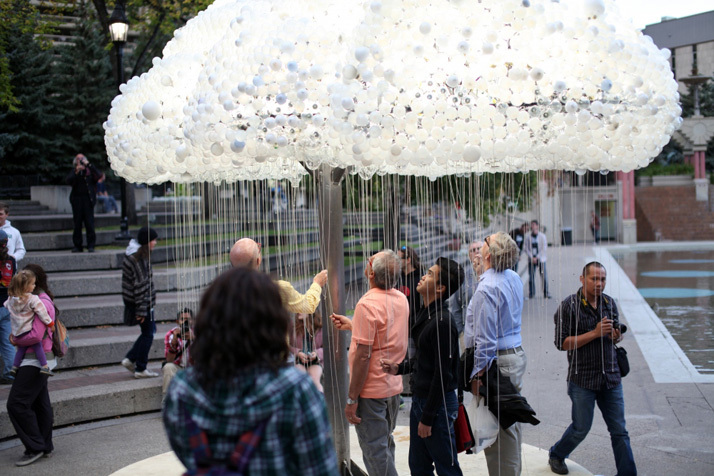 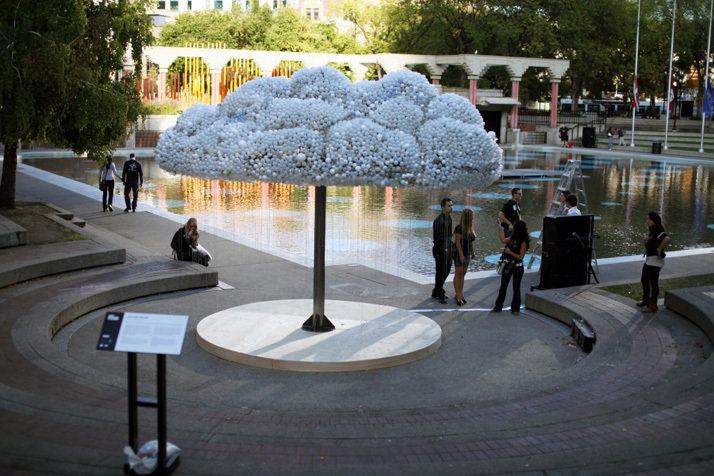 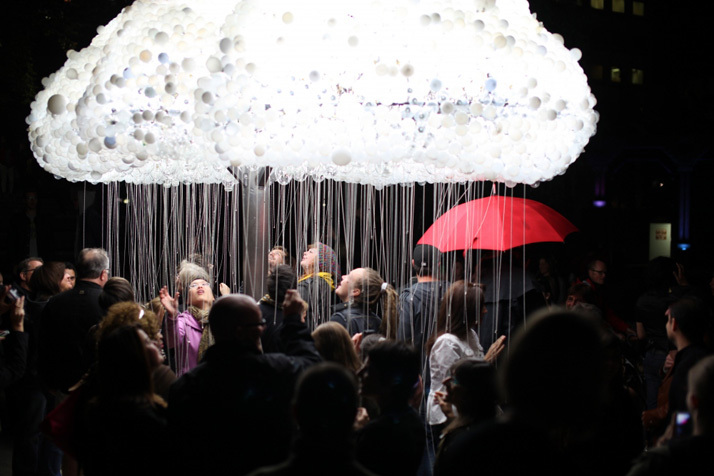 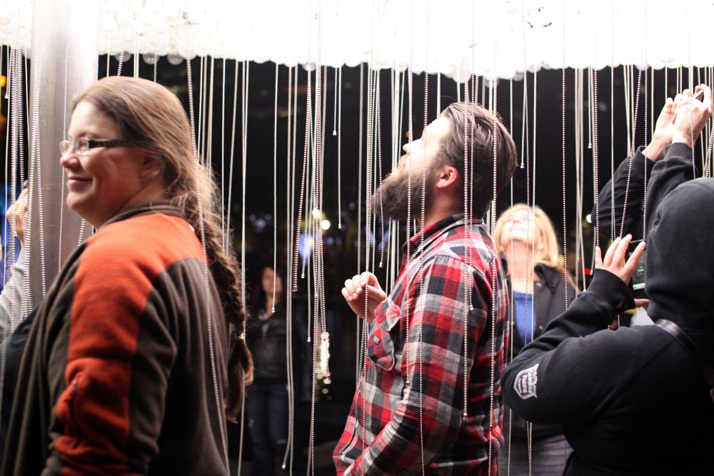 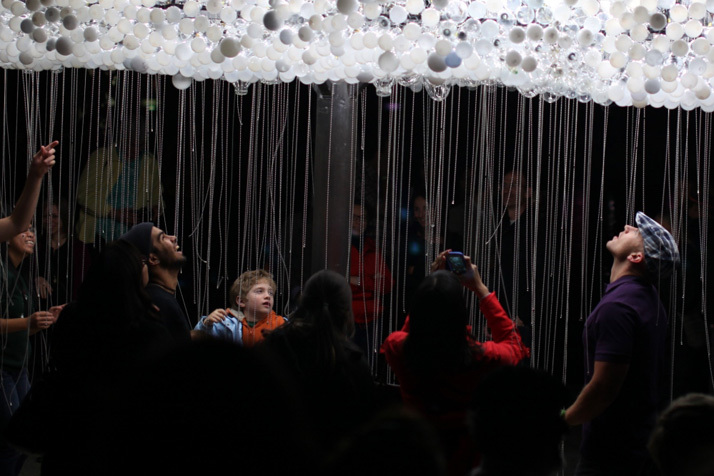 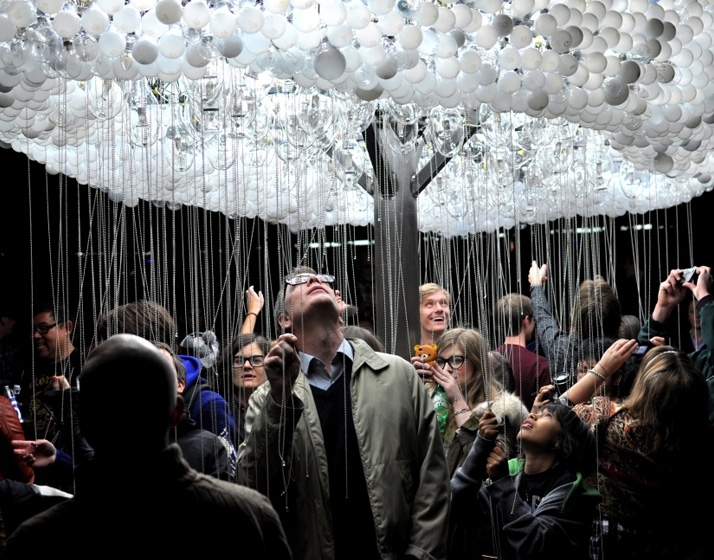 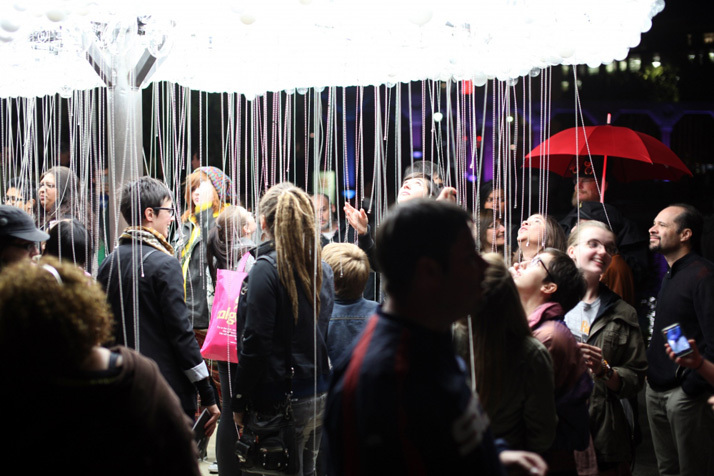 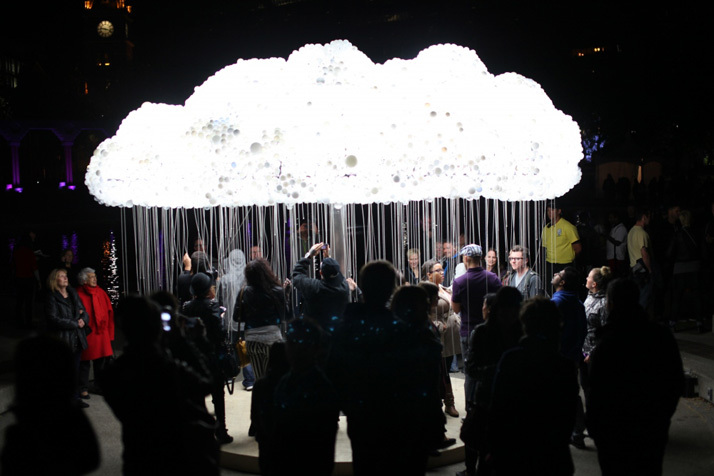 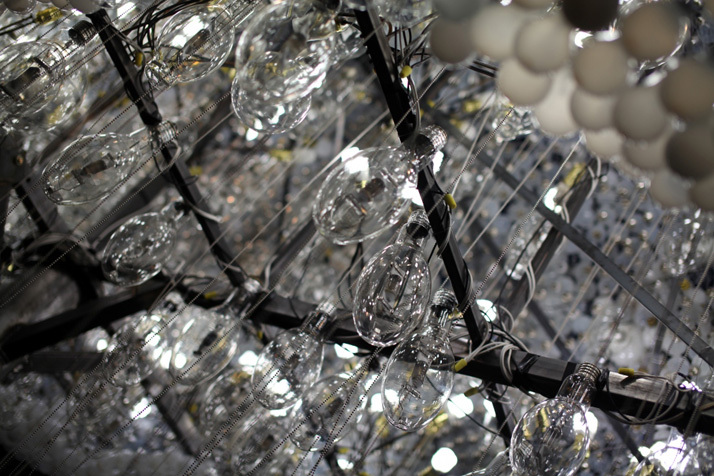 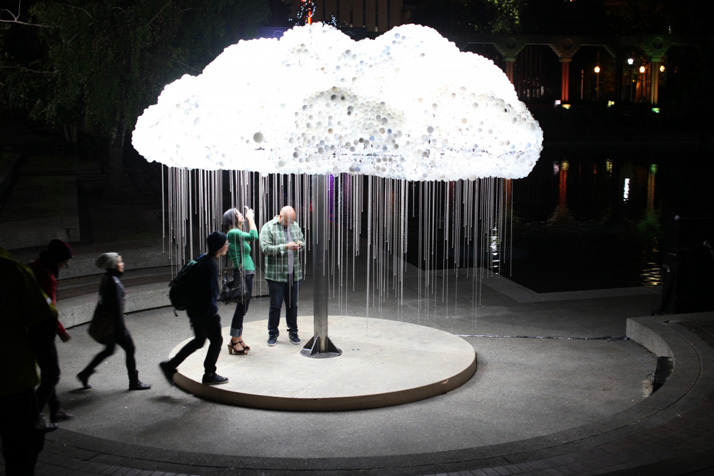 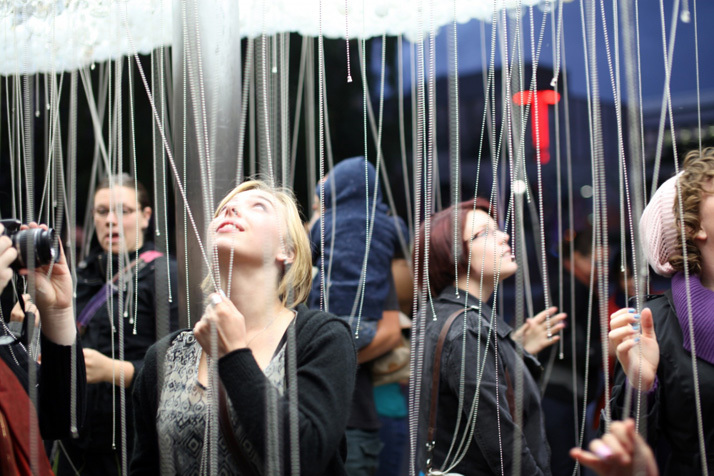 CLOUD is a large-scale interactive installation by Caitlind r.c. 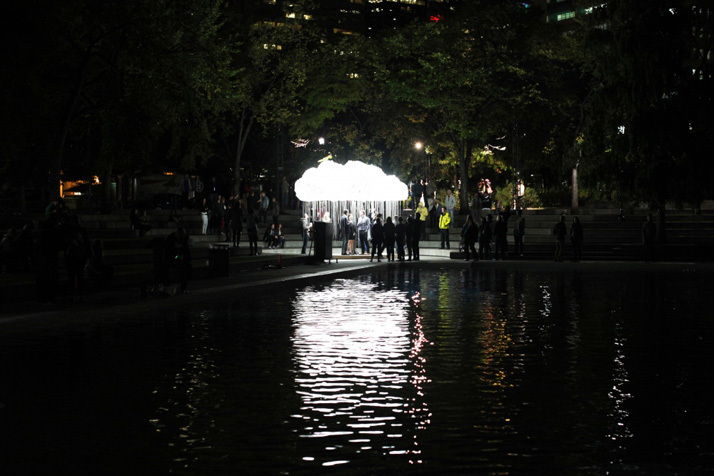 Brown for Nuit Blanche Calgary. 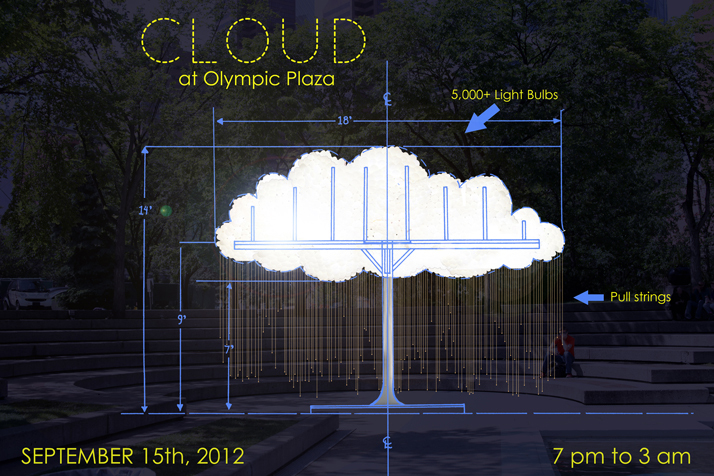 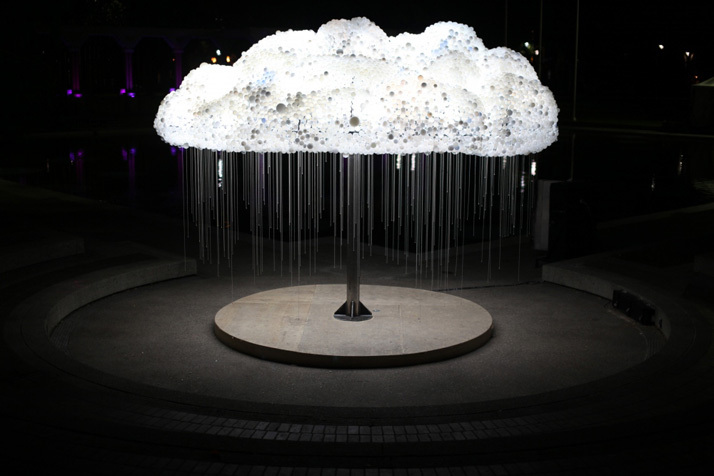 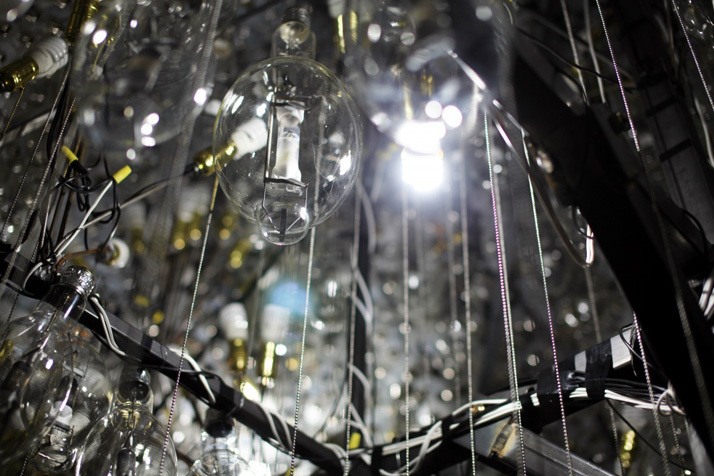 Created from steel, metal pull-strings, and 5,000+ light bulbs (both illuminated and burnt out) CLOUD asks the viewer to participate by experiencing the work first hand – standing beneath the structure and pulling lights on and off, creating the flickering aesthetic of an electrical cloud.